The Manfrotto 323 RC2 System Quick Release Adapter with 200PL-14 Plate adds a compact quick release system to any head that does not include one yet. 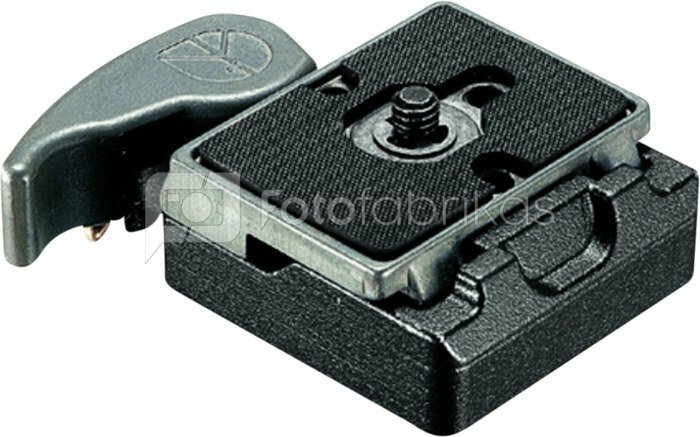 Its compact 200PL-14 (old part #3157N) quick release plate makes it ideal for use with point and shoot cameras, digital SLR cameras, or spotting scopes. The 323 adapter allows quick mounting and dismounting of the camera from the tripod head. A 3/8"-16 threaded socket with a 1/4"-20 reducer bushing makes it compatible with any tripod head.